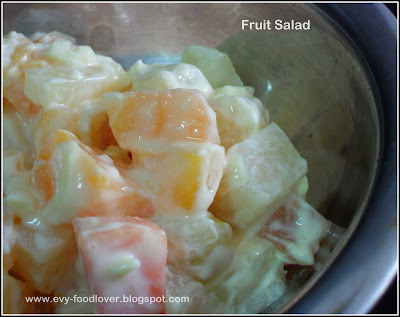 Fruit salad, anyone?? This is one of my favorite desserts which contain cheese, cream and condense milk. Sounds so sinful, right? Yeah, it is and thus I seldom make it unless for special occasion. However it is way too delicious, yummy sweetness + cheesy flavor , just a perfect taste. Very simple, in fact the simplest method to make. First, drain the syrup from fruit cocktail. And mix with all the rest of ingredients. Chill it for hour and it's ready to serve. Enjoy! 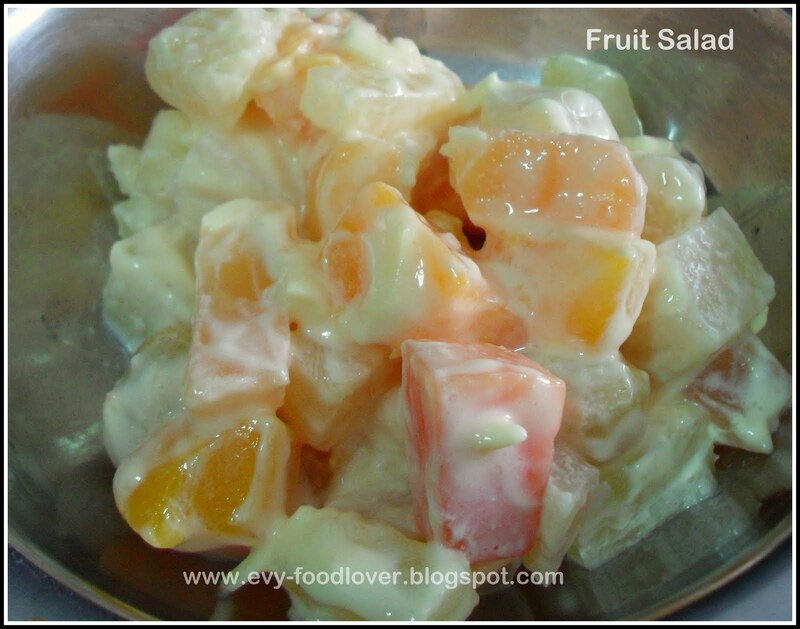 Hi Evy, the fruits salad looks so gd, I like it.